Planning a party in East Staffordshire? 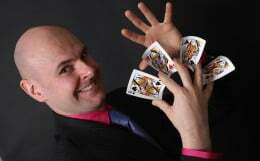 Magician David Fox is the ideal choice for Uttoxeter! Are you thinking about how you could spice up your next special party in the Uttoxeter area? The magic of David Fox is perfect for a small household gathering, or larger function in a hotel or town hall. David's magic is unique and he has developed his own sensational magic effects, illusions and routines throughout his professional career. 1. 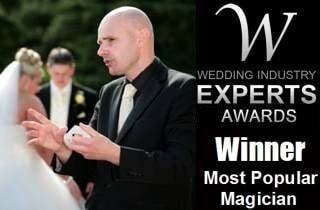 David is an exceptional magician who is ideal for both children's and adult's parties! 2. Your guests will be profoundly impressed by your unique choice of entertainment. 3. 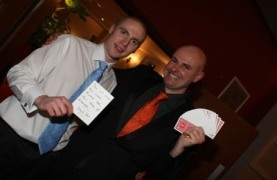 David Fox's magic, sleight-of-hand and mind-reading is world class and has to be seen to be believed. 4. Unlike many magicians, David Fox creates his own effects and routines for performance. 5. When it comes to customer service, David Fox is second-to-none. He guarantees that you will receive and exceptional service from the moment of first contact!